The company has raised Rs 60 lakh ($89,000) from Gurgaon-based vCommission, which is a 100% subsidiary of Adways VC India Pvt. Ltd, a joint venture between Tokyo Stock Exchange-listed Adways Inc and VC Internet Media, said Swati Gauba, co-founder, Hoppingo. "vCommission's founder Tarang Bhargava has not only invested in Hoppingo but will also chair the firm's advisory board," said Gauba. The deal involves cash and advertising components, she added. Hoppingo curates more than 800 e-stores across nearly 20 categories, including accessories, apparel and home décor. Home to more than 10,000 products, the company charges Rs 200-250 on every transaction done on its platform. "On an average, we are involved in 5,000 transactions per month. By October, we hope to achieve 10,000 transactions," Gauba said. "We aim to impact the digitisation on Indian performance marketing industry and investments like this will help move towards our vision," said Bharagava. Hoppingo, which was launched in November 2014, claims to have clocked Rs 40 lakh in net sales in FY2014-15. The comparative figure for FY2015-16 couldn't be immediately ascertained. The firm, which was rated among the top 32 startups in India by NASSCOM in October 2015, had raised its first round of funding from Bhaskar Viswanadham—who has been working with New York-based Broadridge Financial Solutions—last year. Last month, vCommission invested in two startups—LetReach and Spinsvilla. While LetReach is a push notification tool for websites that helps brands reach consumers, Spinsvilla is a UK-based entertainment gambling website. Earlier this year, vCommission had launched its accelerator in Mohali, Punjab to help startups working in the ad-tech space with funding and mentorship. The fashion discovery space has seen several deals this year. Last month, Gurgaon-based Relevant e-solutions Pvt. Ltd, which runs fashion discovery app Roposo, had raised $5 million in the second leg of its Series-B round from Bertelsmann India Investments (BII). Earlier this month, Mumbai-based Hippily Technology Pvt. Ltd, which operates shopping personalisation app for women Hippily, had raised $250,000 in seed funding. Last month, Wooplr Technologies Pvt Ltd, which runs a platform that enables hyperlocal discovery of products and commerce, had received an undisclosed amount of funding from mobile advertising and discovery platform InMobi co-founders Naveen Tewari, Abhay Singhal and Amit Gupta, and TaxiForSure co-founder Raghunandan G, among others. In the same month, personalised fashion app WithMe raised $250,000 in angel funding from a group of investors comprising Alex Kuruvilla, managing director, Conde Nast India; Pradeep Guha, former head of Zee Group and BCCL; Saket Dhankar, head, Lakme Fashion Week; and serial entrepreneur and investor Rajan Pandhare. Earlier in March, Zappka, a mobile platform that allows users to discover, review and share apps, had raised $100,000 in angel funding from Planet GoGo founders Daman Soni and Rajat Gupta, besides a bunch of high-net-worth (HNI) individuals. In February, Delhi-based Styledotme Fashion and Lifestyle Pvt. 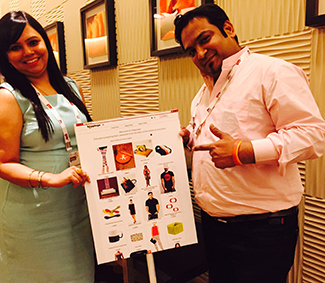 Ltd, which operates mobile fashion app Styledotme, had secured funding from Indian Angel Network (IAN).